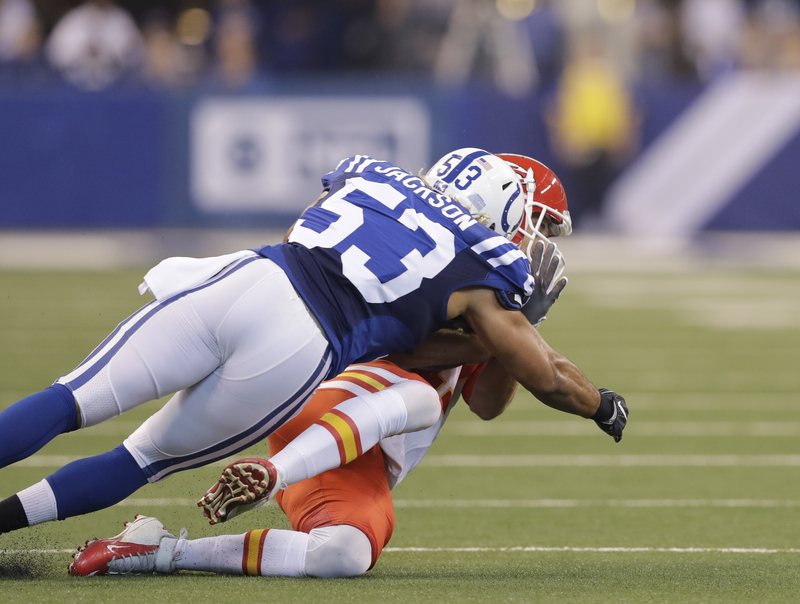 This week’s “Back-Up of the Game” presented by Venyu is inside linebacker Edwin Jackson. One thing that we have noticed from new defensive coordinator Ted Monachino this season is he’s not afraid to shuffle things up with his personnel. We saw that again on Sunday with Edwin Jackson entering the starting lineup. Jackson’s role figured to expand in Week Eight after he had three tackles in 13 plays down in Nashville last week. In his first career start this Sunday, Jackson had four tackles and a sack against the Chiefs. Ever since the start of the preseason, Jackson has continued to flash around the ball. His ability to play special teams was a major reason why the Colts decided to keep Jackson ahead of Nate Irving on the 53-man roster. With Josh McNary (burner) getting hurt early in Sunday’s game, Jackson saw the most playing time of his NFL career.